NEW YORK (WABC) -- Supporters of horse-drawn carriages in Central Park are fighting back against claims of abuse. Handlers say Max, a carriage horse, tripped and fell last week near Tavern on the Green. Photos show him collapsed on the ground. Max is now back on the job, but an animal rights group is demanding an investigation. 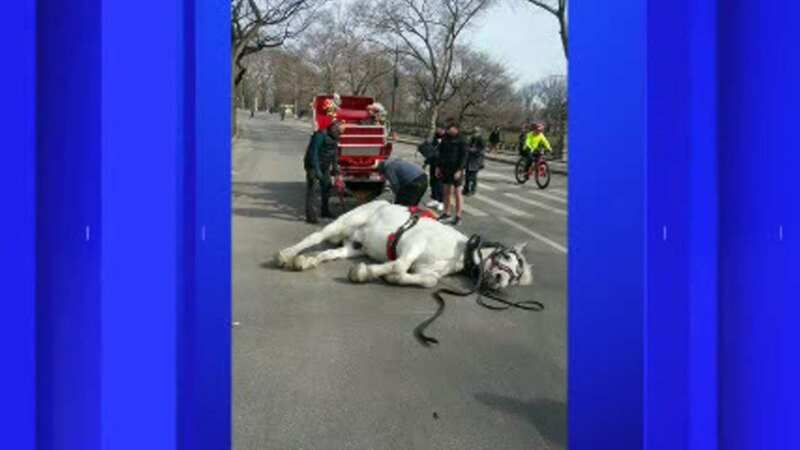 The group Horse-Drawn Carriages of Central Park released a medical report on Max, showing he was not hurt and is cleared to go back to work.